The new annual title, which launches on 16 October, will feature a major UK consumer watch survey sponsored by Harrods. It is targeted at watch experts and those new to the subject. The magazine will provide the latest trends and purchase inspiration. An in-store launch event on 14 October will feature an interview with José Mourinho, the Chelsea Football Club manager and Hublot ambassador. 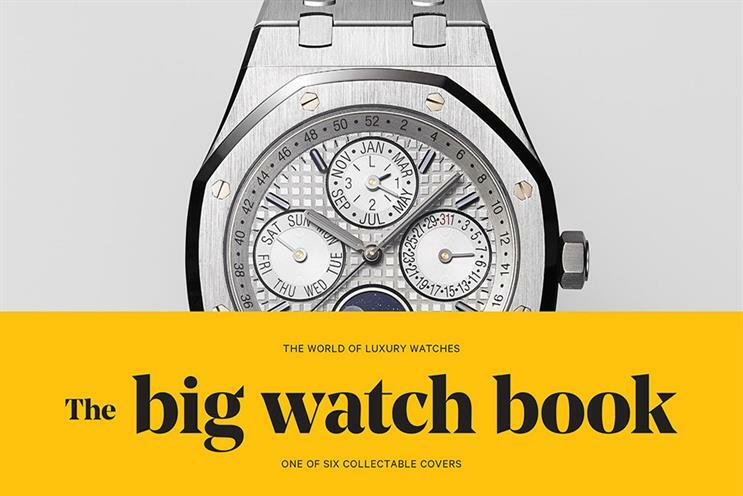 In December readers interested in Audemars Piguet, the luxury watch brand, will receive The Little Watch Book, a 36-page offshoot of the main brand. Duncan Chater, the group publishing director at Esquire, said: "This brand extension is a natural progression for Esquire. We are thrilled to partner with Harrods on the launch. "The partnership will give advertisers insights into the watch buying process, while the in-store event with José Mourinho is the perfect setting to launch the new brand. "We are particularly excited about working on more innovative, highly targeted data-driven projects like The Little Watch Book in the future."